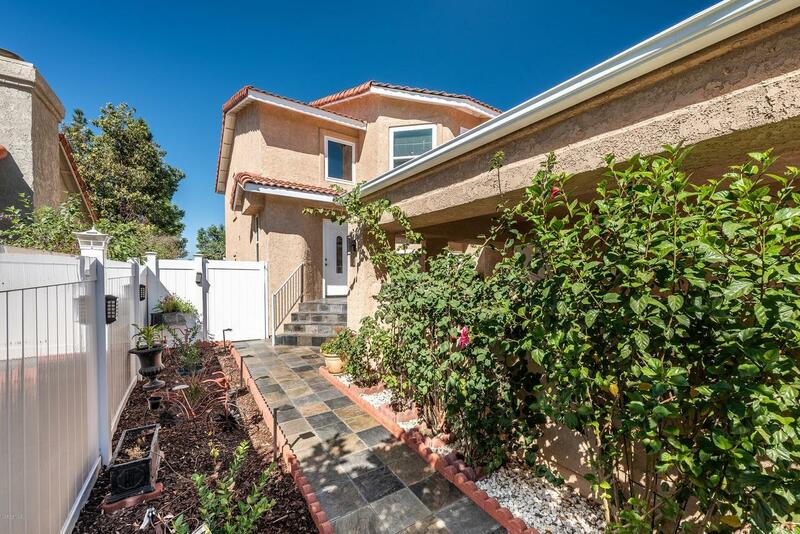 Lovely home in the Heather Glen neighborhood of Moorpark. Home features an inviting courtyard with slate tile walkway and porch entry. Just off the entry is the cozy living room featuring a brick-faced fireplace with granite hearth, wood-like flooring and separate dining room. The upgraded kitchen features granite countertops, newer cabinets, glass tile backsplash and upgraded stainless steel appliances. Granite-tile flooring throughout kitchen and eat in kitchen/family room. The downstairs powder-room is updated with custom cabinet and tiled walls. Upstairs bedrooms are spacious, and home has upgraded newer double paned windows. Master bedroom and upstairs bathrooms are updated with custom cabinetry. The private backyard patio has entrance from dining room/living room. 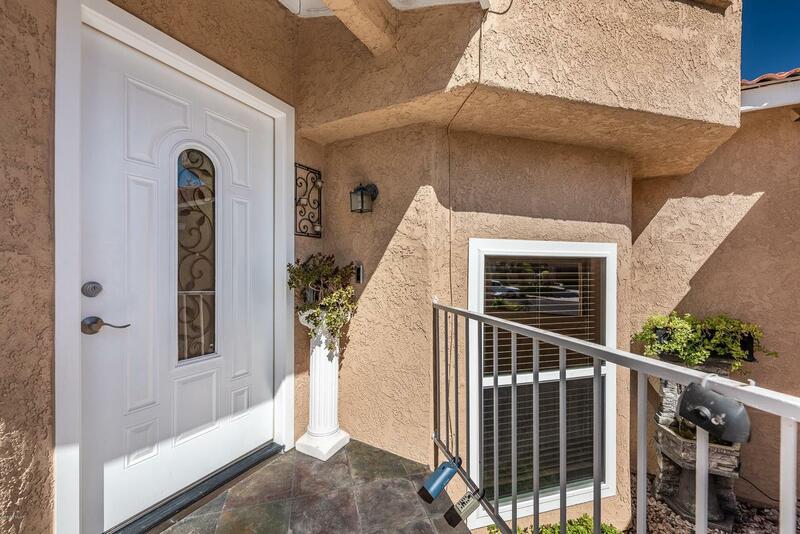 Short distance from the neighborhood park and close to shopping and restaurants. Low HOA fee include maintenance of front yard and common area. Home shows pride of ownership. 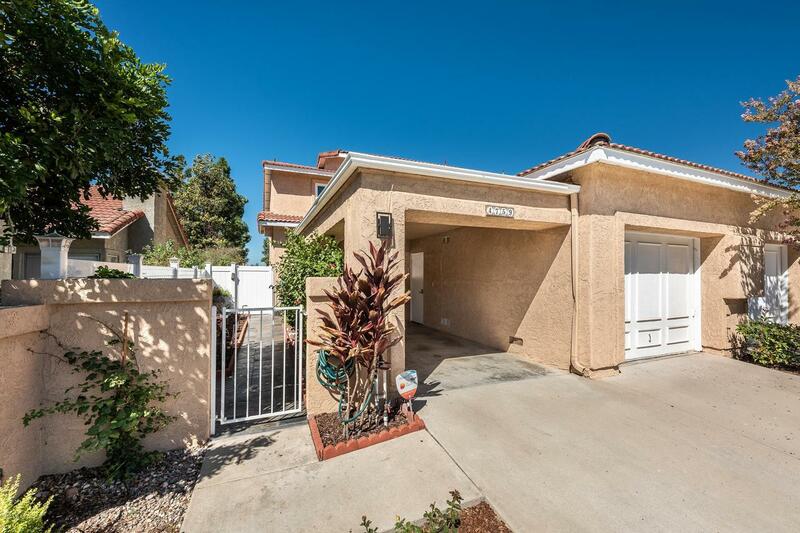 Sold by BRE#02022127 of Coldwell Banker Quality Prop..
Exclusions Both Refrigerators; Tvs; Speakers; Projector in Garage & Screen Home Theatre Speakers; Portable A/C in Garage; Fountain At Front Yard & Potted Plants. Inclusions Water Purification Under Kitchen Sink; Tv Mounts. 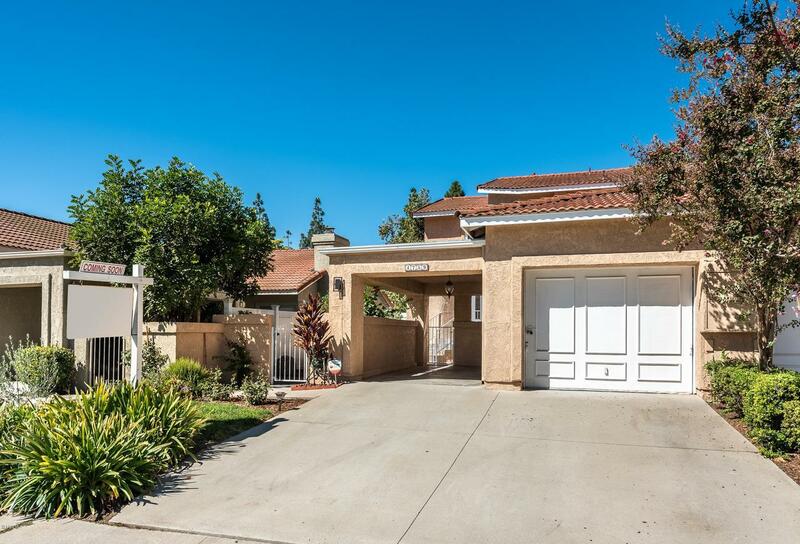 Listing provided courtesy of Pauline Pitman DRE#02022127 of Century 21 Everest and Mary Leyden CA DRE# 00961654 of .